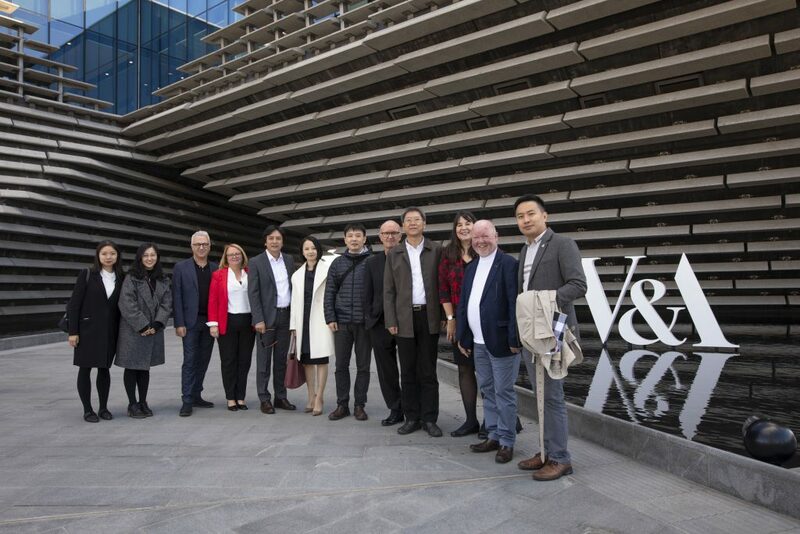 On September 25th, it is reported that Sichuan Fine Arts Institute (SFAI), University of Dundee and Arts Institute Keass signed the Memorandum of Understanding (MoU) for the joint project of “Global Centre for Art, Design & Innovation” (Twinned Centres located in Dundee and Chongqing). The Twinned Centres will build an Industry-Academia-Research （IAR）platform with international vision, international influence and international collaborations. The city of Dundee is UNESCO’s only World Design Capital in UK. 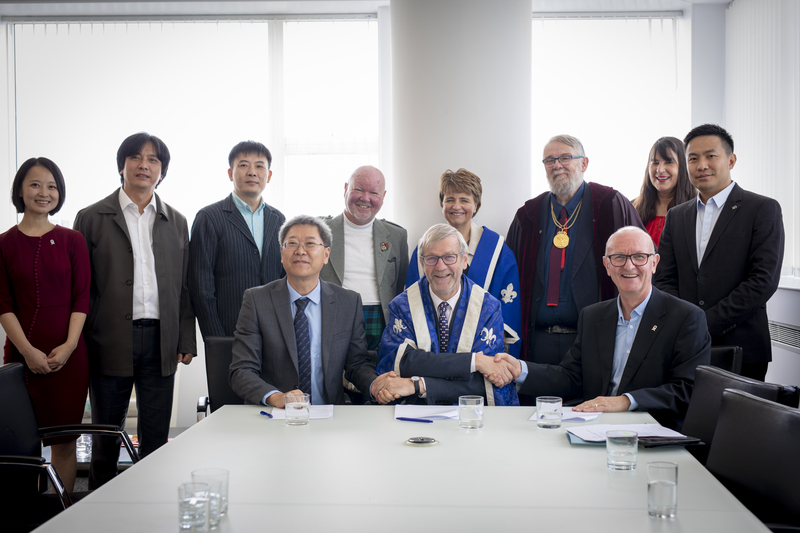 The Dundee-based Centre will expand its impact to Europe and North America through the academic influence of University of Dundee; meanwhile in China, as the most influential professional university in the southwest, the Chongqing-based Centre will influence the whole China and even the Asia Pacific region supporting by Sichuan Fine Arts Institute. The project will focus on academic development, research, commercial enterprise and public engagement. On September 25th, after the Summary Meeting with members of DJCAD Senior Executive Group and EPDU, Professor Zheng Huang (Party Secretary, SFAI), Professor Sir Pete Downes (The Principal, University of Dundee) and Ian Farren (Principal, KEASS) were representing the three parties to sign the Memorandum of Understanding (MoU), and other representatives attended the launching ceremony include Professor Shengfeng Duan (Dean, Design Art Academy, SFAI), Professor Yue Zeng (Director, International Office, SFAI), Xiang (Kevin) Li (Chief Executive, KEASS), L Kiwi Chen (Chief Operating Officer, KEASS), Wendy Alexander (Vice Principal, UoD), Professor Nic Beech (UoD Vice Principal/Provost), Dr Rob Ford (Director, Educational Partnerships Development Unit, UoD), Professor Paul Harris (Dean, DJCAD), Professor Mary Modeen (Associate Dean, Internationalization, DJCAD), and Arthur Watson (President of the Royal Scottish Academy). The delegations have visited the Victoria & Albert Design Museum Dundee (V&A Dundee) . 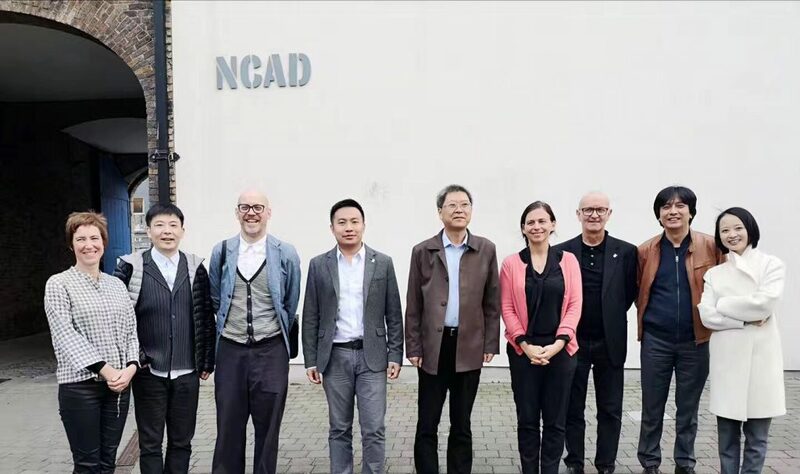 And after then, the delegations visited to the National College of Art and Design (NCAD) of Ireland and explored further discussions on joint educations, all parties have affirmed for carrying forward to real implementation.